Berthold Kerschbaumer (above) has very kindly been in touch from Austria, to clear up any confusion there might have been regarding the original design of the Mignon typewriter. There, I pointed out that in an article by Berthold which appears on Richard Polt’s The Classic Typewriter Page, (http://site.xavier.edu/polt/typewriters/mignon.html), Berthold wrote that the Mignon was developed “on the basis of a patent by Louis Sell of Berlin (No 149308 of December 22, 1901)”. 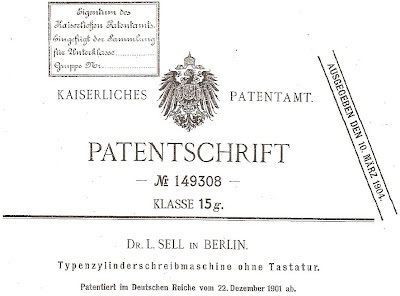 I had been unable to find any references to Sell elsewhere, and his name does not appear in US patents for the Mignon, first issued to Friedrich Heinrich Philipp Franz von Hefner-Alteneck (above). 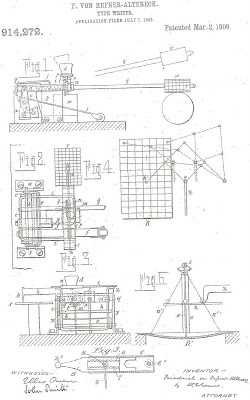 Hefner-Alteneck applied for his US patent on July 7, 1902, and it was issued on March 2, 1909, more than five years after his death. Berthold has now been able to point me in the right direction. 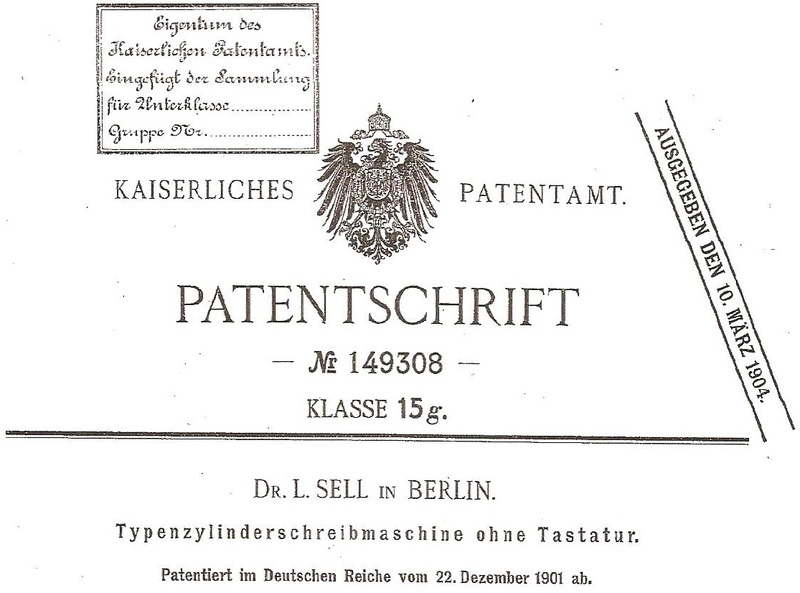 Amazingly, Sell’s original German patent is almost identical to Hefner-Alteneck’s US patent. 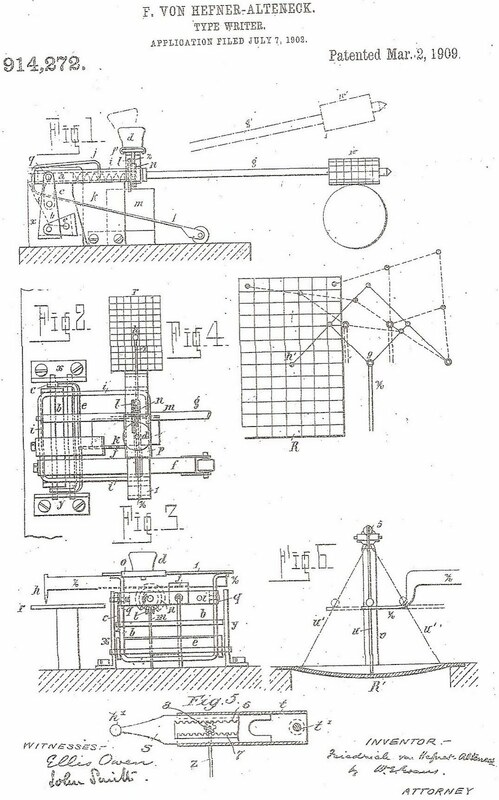 Hefner-Alteneck applied for the US patent for “his invention” less than seven months later! 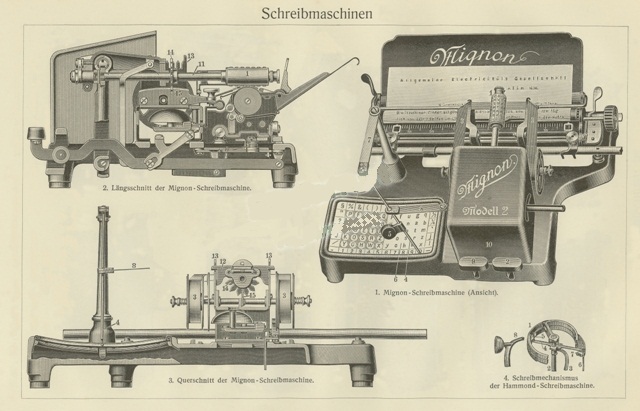 An AEG subsidiary, Union Schreibmaschinen-Gesellschaft, started making the Mignon in 1904, a few months after Hefner-Alteneck died. Was this one monstrous rip-off? It does appear that Sell sold the rights to his design to Hefner-Alteneck at Allgemeine Electrizitäts Gesellschaft, but Hefner-Alteneck then definitely claimed it as his own. And why, in subsequent years, was full credit for the Mignon given to Hefner-Alteneck alone, without any mention of Sell? 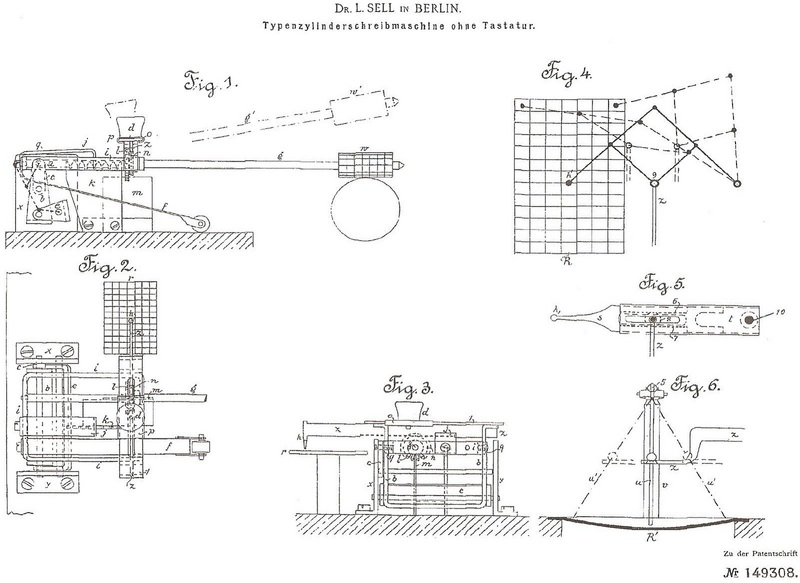 We are indebted to Berthold for putting us straight on this. 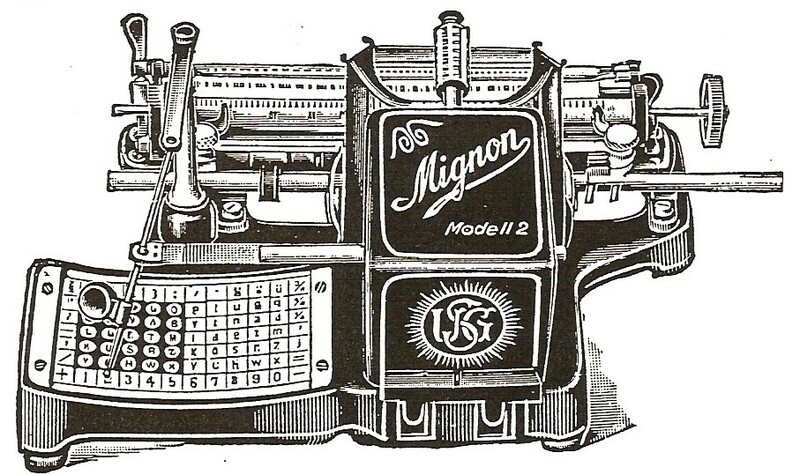 I wrote at the time of my Mignon post that, “Other histories credit the Mignon to Hefner-Alteneck, and it is true that at least the AEG Mignon was his design.“ This now turns out to patently untrue. I am deeply grateful to Berthold for his help in clearing this up. No digging into Mignon because I recently had a lucky strike with a red beauty. 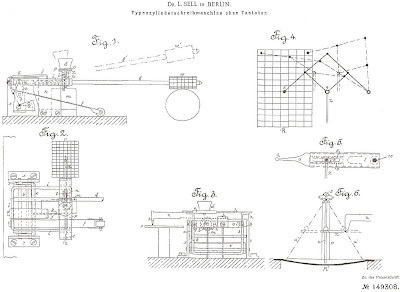 So we have Dr. Sell's original patent application of dec. 22nd, 1901, von Hefner-Altenecks July 7, 1902 US application, and I found a third one from France, FR335305, filed Sept 15, 1903, under the name of "Union Schreibmaschinen-Gesellschaft mit beschränkter Haftung". Drawings of all three are identical. 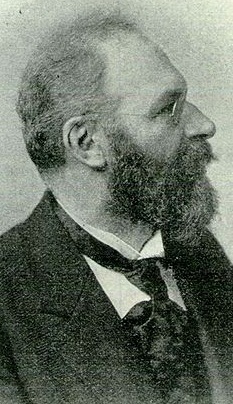 The USG had only been established in August of 1903. 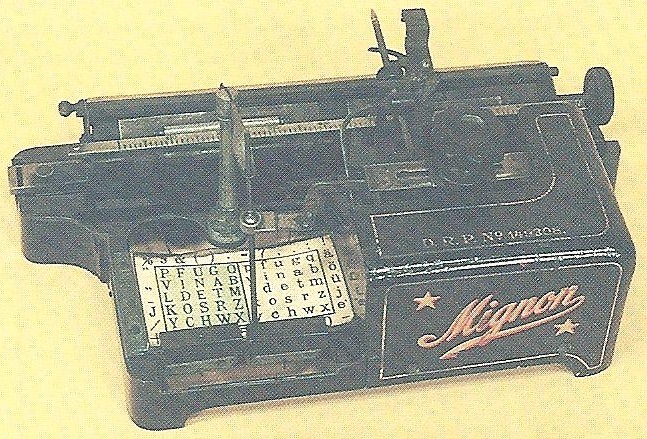 Still, in the gap from 1902 to 1903, AEG could have used its proper name - what was the reason not to do it? Maybe AEG wanted to keep a low profile? I am speculating here. In any case by 1903 things were ready to come out in the open.